School holidays have just started here for us which could not have come quick enough. I am loving just hanging at home with Mr 6. We have very loose plans these hols, and we both are planning to chill out a lot! Just now we are munching these delicious Pear Blueberry and Ginger Muffins while he is listening to a podcast (if you are looking for a great podcast for kids check out ‘Wow in the World’) and I am…well…writing this. I have been really wearing myself out in the weekends testing recipes and taking pics. Then I need to try and find the time in my already busy week to write up these posts and work on social media content. Generally this is happening late at night or in the mornings. And it has been exhausting. It feels like I am on a hamster wheel. And so, I have decided I need to get off. I need to be present to where I am. And not always thinking about what I need to get done. Because I feel like I have been missing it all. So my new goal, is to let this blog evolve a little more organically and create recipes when I feel like it, not just because I feel like I have to be posting new content. Anyway, enough of my rant. 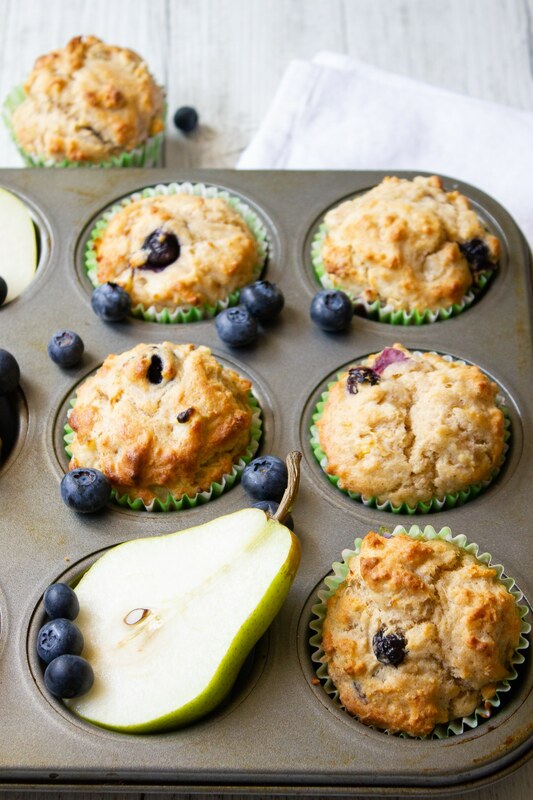 Let’s get onto these Pear Blueberry and Ginger Muffins! These are a light and delicious muffin, perfect for school lunches and snacks. 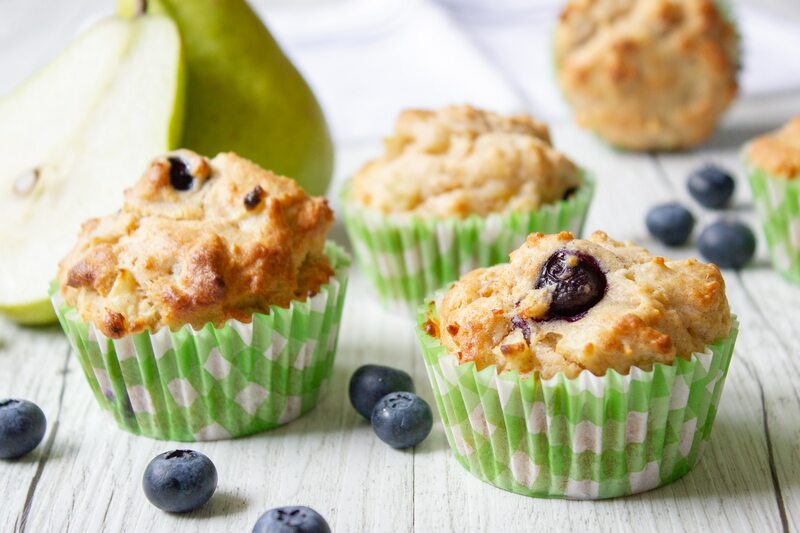 Just like a lot of my recent recipes, these Pear Blueberry and Ginger Muffins are sweetened only with fruit and have no added sugar. If you love baked recipes with no added sugar check out this Healthy Banana Bread or these delicious Apple Oat Cookies. I love the flavour combination in these Pear Blueberry and Ginger Muffins! And I also love how Mr 6 loves them too. Given he has had blueberries in his lunchbox pretty much at least once a week for the best part of a year and each day they go to school for a day out of the house and come back untouched, it’s been pretty exciting that he even eats these! 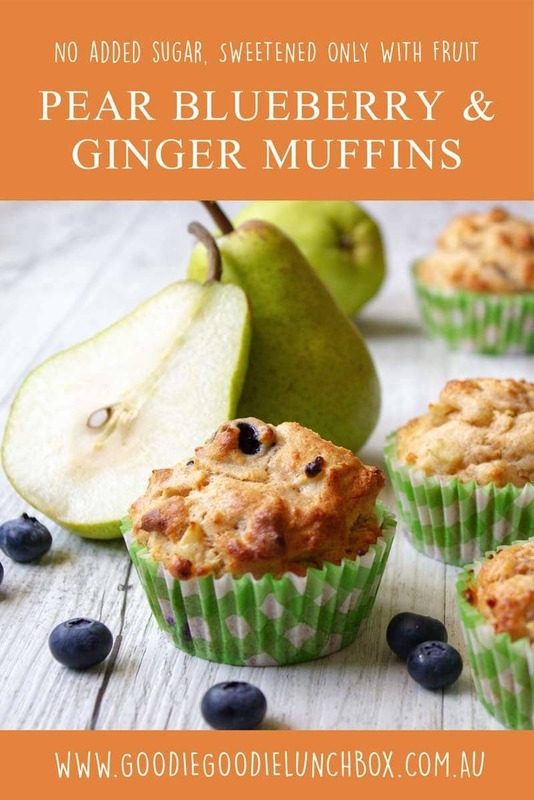 If you think you will love these Pear Blueberry and Ginger Muffins you will also love my other muffin recipes on my blog! Why not try these Carrot Cake Muffins that have no added sugar. Or these Double Chocolate Chip Muffins with Zucchini are always a hit with the kids! 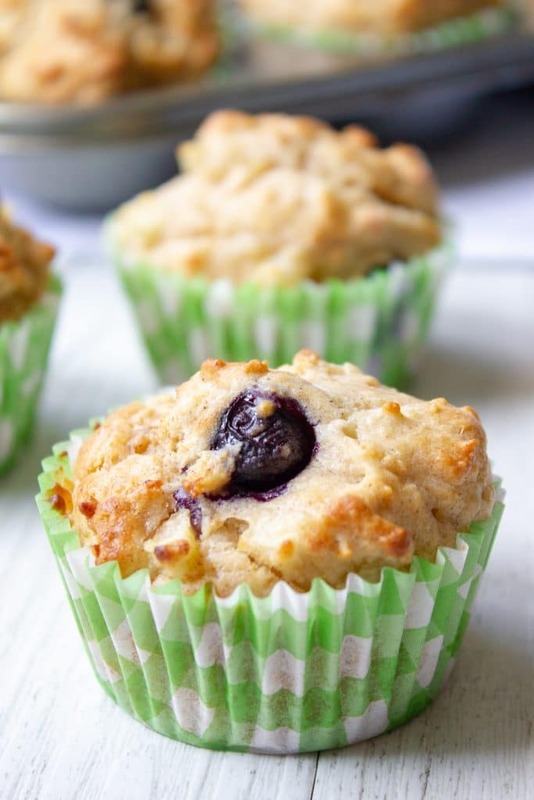 These delicious Pear Blueberry and Ginger Muffins are sweetened only fruit and taste so good. 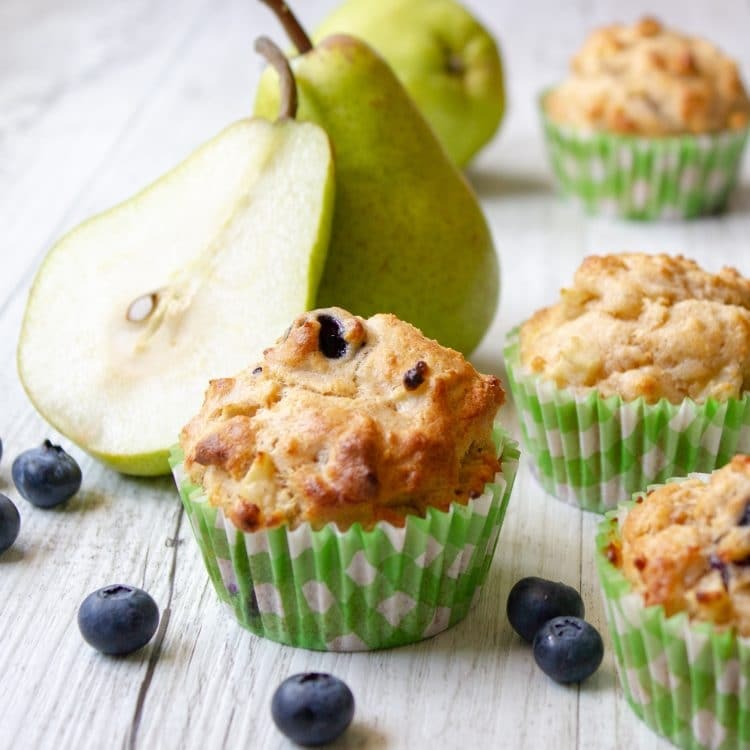 With no added sugar, these muffins are perfect for school lunches and snacks. Cool slightly in the tin before transferring onto a wire baking rack. These Pear Blueberry and Ginger Muffins can be frozen for two – three months. 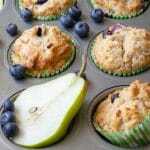 I hope you enjoy these Pear Blueberry and Ginger Muffins. If you bake them, why not take a pic and share with me on Instagram or Facebook? I love seeing you create my recipes! These sound delicious! Do you peel the pears before adding? Planning on making these tomorrow, can i use frozen blueberries?